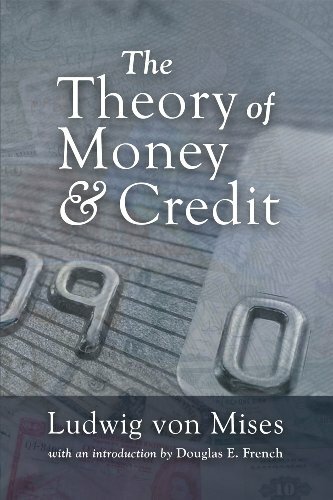 This classic treatise on monetary theory remains the definitive integration of microeconomics and macroeconomics. First published in 1912-and remaining in print since that time-it catapulted Mises into the ranks of Europe's most respected economists. Rothbard aptly describes it as "the best book on money ever written," economists have yet to absorb all its lessons. Mises shows how money had its origin in the market, and how its value is based on its usefulness as a commodity in exchange. Mises presents the case for sound money with no inflation, and presents the beginnings of a full-scale business cycle theory. This book attempts to inform the reader about the analytical background and institutional setting of euro area monetary policy. The theory and practice of monetary policy are explained in detail and illustrated by a number of real world examples. Professor Bagus explains the background to the idea of European unity and its heritage of sound money. He explains that the Euro is not what the older liberals had hoped for but instead is a politically managed money that is destined for failure. This pioneering work is the first full study of a critically important issue today: the ethics of money production. The thesis is that a government monopoly on money production and management has no ethical or economic grounding at all.